The Avenues Condos Provo Utah are located at approximately 800, 827, 836, 850 University Ave in Provo, UT 84604. These condos are BYU approved for men and women. The Avenues Condos are built in 1992 – 1993 and feature 42 units. The Avenues Condos Provo UT have underground parkings a pool and spa. The Avenues HOA Advantage Management phone number is (801) 235-7368. The Avenues Condos Provo Utah HOA Fee is $190. Please verify the current HOA fee at the Avenues Condos. 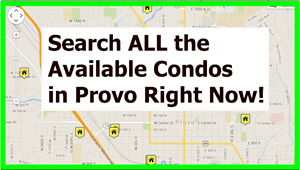 There are many different condominium options near the Brigham Young University in Provo Utah. Many condos are withing walking distance to campus. The Avenues are conveniently located close to campus. 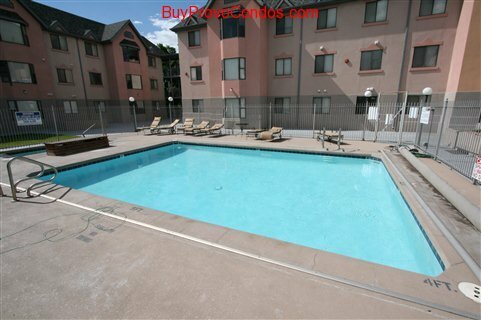 The condos near campus rent easily and make great investments. They are also popular with “parent investors” that like the idea of building equity in a property while their children attend school. Paul Teasdale of Team Teasdale Realty has helped customers buy and sell an unprecedented $175,000,000 in homes and condos since 1995. Expert Information and Advice Due to Specialization in Condos Near BYU. Being experts on every condo close to BYU, Paul can give you the best information on relevant things about condos near BYU. Valuable information like market trends, bus lines to campus, specific condos that fit your personalized needs, and most importantly, intangibles that will help or hurt resale value that aren’t easily observable to buyers and sellers. Our team will show you the different condos around BYU and help you understand the pros and cons of each condo complex. Paul Teasdale graduated from BYU with a degree in Business Management. Having attended Brigham Young University of Provo UT has given Paul the unique first-hand experience of living in Provo as a student. Paul has personally bought and sold condos in the Provo Utah area. While attending BYU in 1993 the first thing Paul did was buy a condo next to BYU. A condo near BYU is an excellent and sound investment. Helping students and parents buy BYU condos or townhomes, we personally know what to look for in every location, each condo’s proximity to BYU, and other essential details for buyers. When choosing a Realtor to trust with your buying or selling experience, please take these above factors into consideration. We hope you choose Paul Teasdale of Team Teasdale Realty and his Team so that your buying or selling experience will be an enjoyable and wise one. We are available six days a week to speak or meet with you.